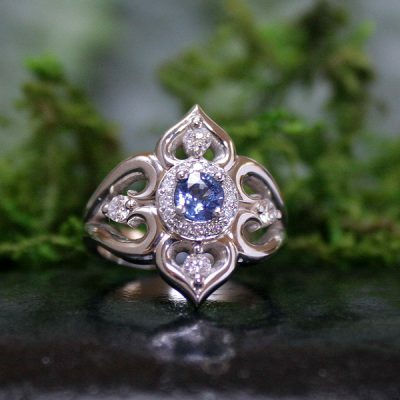 Wanderlust is a multi sapphire ring design in 14k white gold, that burst into my life and creativity with vision and determination. 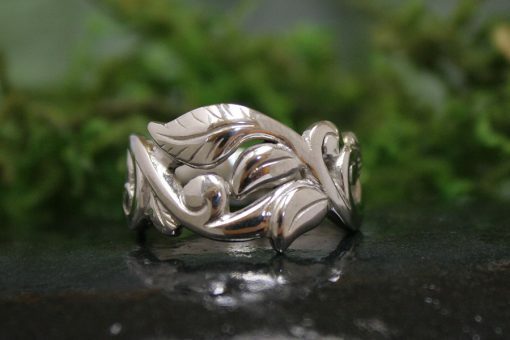 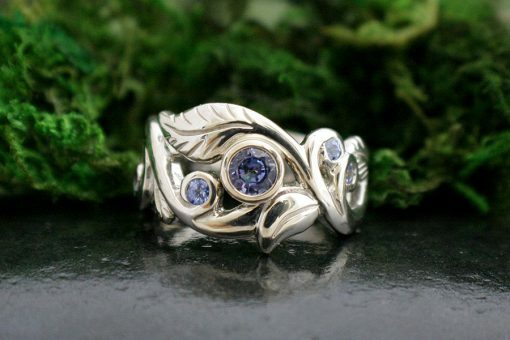 I first carved Wanderlust for my wedding and engagement ring line, then discovered she makes a lovely anniversary or family ring! 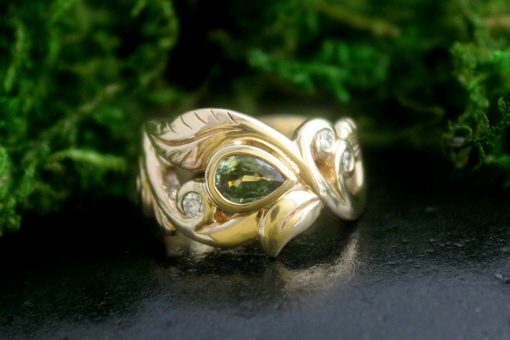 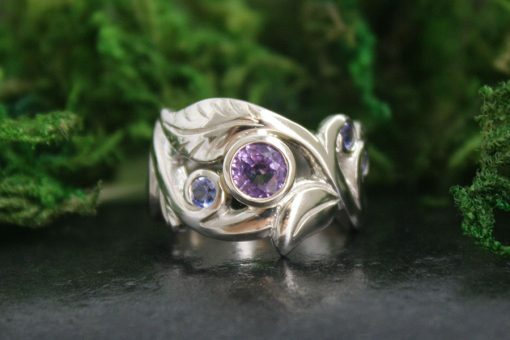 When I first sat down to carve, the gemstones were the inspiration and the carving was created around the magnificence of the stones. 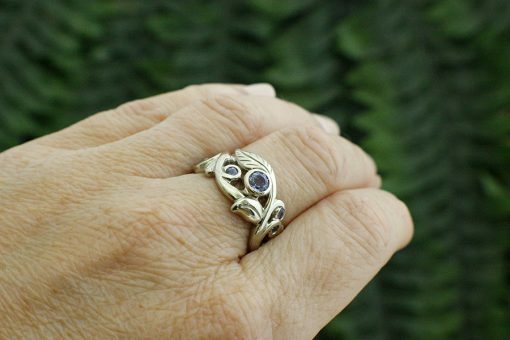 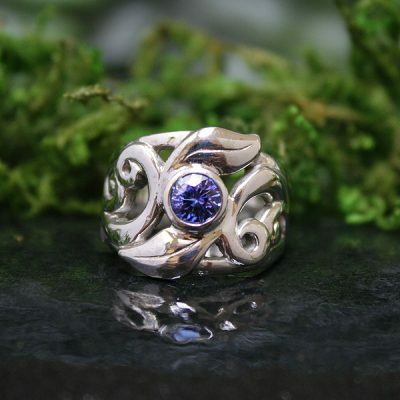 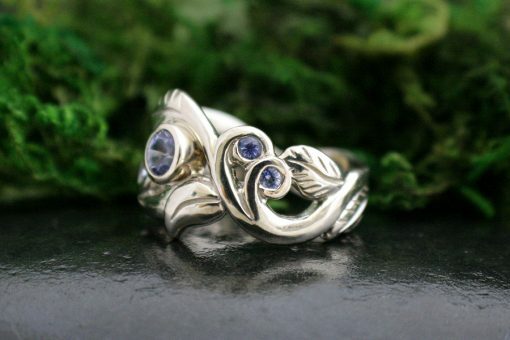 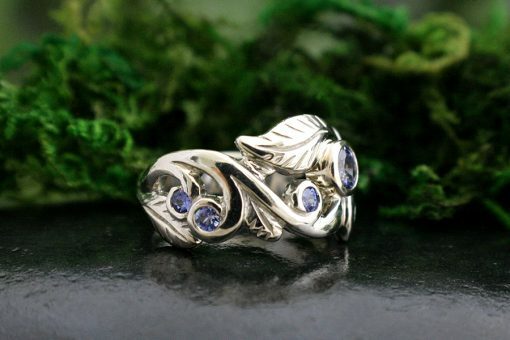 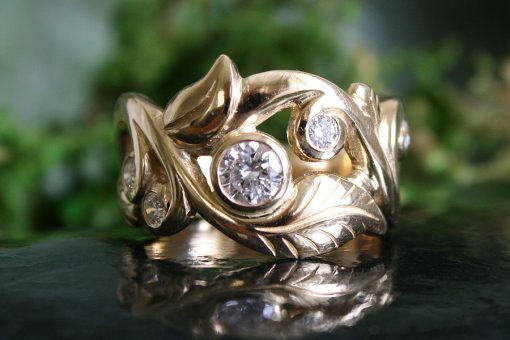 My desire was to create a ring with breath and movement, and a gentle cradle to hold the sapphires. 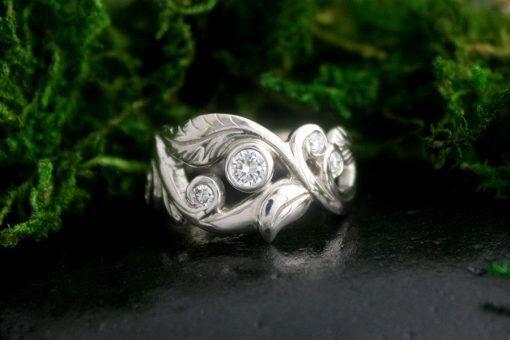 Available to order in white, yellow or rose gold, with options of a larger centre diamond.